These 20 selected recipes for picky eaters have been tried and tested to tastefully introduce a variety of nutrients and vitamins in foods that they may already be familiar with. Picky eaters tend to avoid trying new foods that they are unfamiliar with. However there are simple steps you can take to resolve picky eating problems. Its hard enough to think about varied and exciting meals to cook for kids and if your’s happens to be a picky one then the task gets even harder. Picky eating is a habit which you can help your finicky person to overcome with some patience and planning. This post here has all the little steps that I followed to make my picky toddler go from ‘I don’t like it ‘ to ‘I will try it’. That itself is half the war won. Read the post and try introducing some of these recipes into their diet maybe trying one or two each week. If tomatoes are something that your picky eater seems to be picking out, then try this smoother version of sundried tomato pesto! Make a regular cream sauce a bit different by adding a dash of mustard. They may enjoy the twist. Biting into these burgers your fussy eater will not realise munching on healthy leeks. Who does not like a bit of brightness in their food. Turn regular old white rice into exciting green in 15 minutes. Introduce fish into regular tacos and let them explore the sweet flavours with a mango salsa. Struggling with time and still want your picky pint to try new flavour? Try this chunky chilli beef hash cooked in the slow cooker. Got a range of leftover that no one is keen to eat? 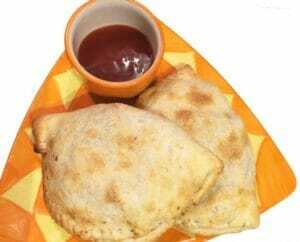 Bring them all together in a calzone style chicken envelop. These finger roll ups are great for a clean eating option and you can hide healthy bites inside too! Pack a bowlfull of protein and give their favorite Tagliatelle in tomato sauce a yummy lift! These lettuce boats taste as good as they are to eat. An enticing way to get them to eat salad leaves! Another great salad idea made with noodles and maybe few leftovers to recycle. reduce the spiciness if you must. Crunchy filo topped with cheese and any of their favourite ingredient plus a surprise of your choice. This is a complete winner. An all-time favourite kids friendly dish chicken nuggets given a healthy twist by coating it with quinoa instead. A combination of sweet spice and everything nice. Get your fussy fiddle into curry mode with this easy mild curry. A hit each time I make it. Change the side dish to introduce other foods instead of pineapple salsa. They will want to eat the lot! A shortcut sub recipe but still with the aim to please. A starting point to introduce subtle new flavours in a sub. Go a notch high and aim to introduce new grains in a fun avatar. A baked wild rice recipe that they may find hard to differentiate between normal rice. Another fab idea to get more and varied grains in. Replace rice with quinoa and your healthy yummy bowl is ready. Protein, pulses and packed with flavour. This is a great dish to put everything on a plate and serve. 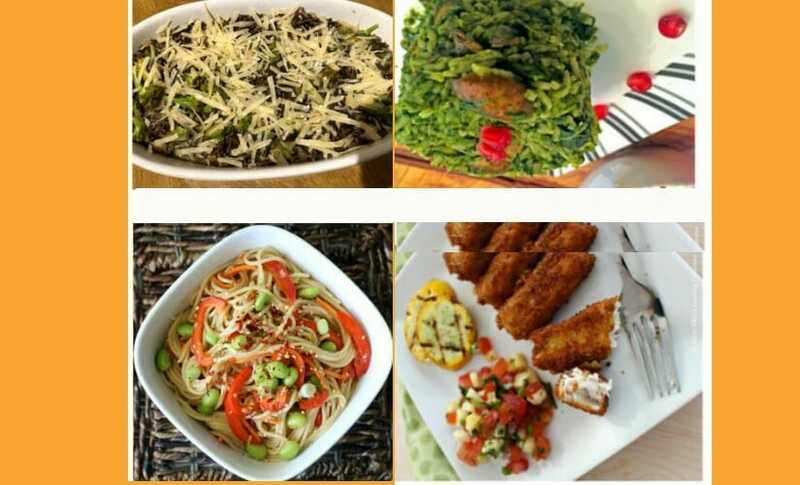 So, there you go loaded with meal planning ideas and easy to make recipes for your picky eaters. Share your favourite and easy to make recipe that you cook to please your fussy eater. Do you hide proteins or let them explore and learn? OOhh that was a crowd pleasure in my family. I am sure yours will love it too! Those sriracha chicken lettuce cups look bomb! Yum! They really taste good too! Do try them if you can. all of these meals look fantastic! What a lovely compilation!! My husband is such a picky eater. This is a fantastic post! Hope you get to try cooking few for him and change his picky eating habits a bit. Thanks Dahn. I have personally tried these recipes and can vouch for the taste of each! This is a great way to introduce new foods and textures to the picky eater by using familiar foods… they’re all great ideas! Thanks Dana. feeding picky eaters is a challenge, so best to tread carefully! Yum! Definitely making the creamy herb chicken and the chicken man n cheese. Thanks for compiling these!